The Fall is such a busy time for photographers, and it's no wonder with all the amazing colors we get with foliage in the Northeast. When that busy season pushes into November and December, though, you can sometimes be left at a loss trying to find a location that doesn't look barren and grey. For my late fall/winter clients, I often encourage a trip to a tree farm, like this one at the Beverly Tree Farm. The evergreens provide that festive pop of color that bring an image alive. 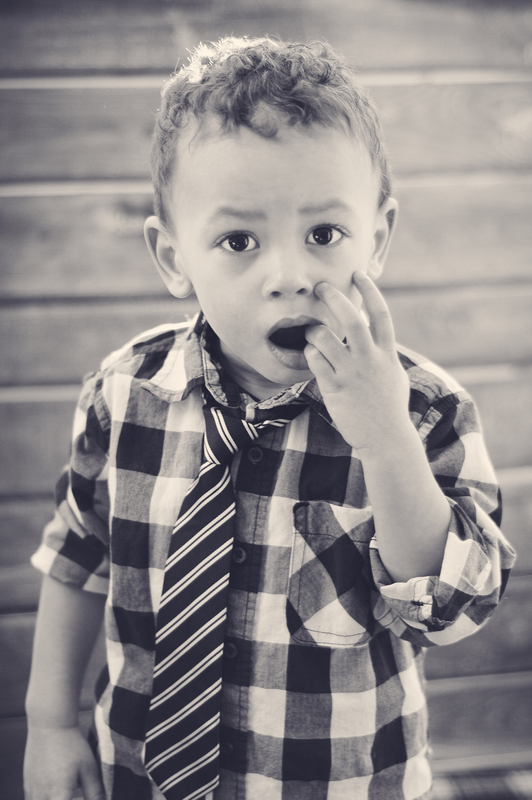 I absolutely love this session with the Carroll family and their sweet little guy. He was such a happy baby, and kept giving his momma and dada kisses throughout the whole session! Oh my heart! I think his little smile speaks for itself. I love the idea of having family traditions, and taking yearly family portraits is a perfect way to incorporate traditions into your family. Especially when your kids are still little, it's just so fun to track their growth from year to year. And your children will thank you later for getting in front of the camera yourself to help build these special memories. In this darling family beach portrait session, I'm taking you all the way back to 2014! (Gasp!) If you could see these little munchkins now, they already look so different and grown up! Enjoy these family pictures taken at Good Harbor Beach in Gloucester, MA. If you love the memories these guys have made, be sure to tell them in the comment section below! I've heard it said that twin parents are like the special-ops of parenting. Now that I have twins of my own, I know that to be true. Back when I photographed Vinnie and Nora on the beach in Gloucester, though, I never would have imagined that I'd have my own precious set of twin girls. That's what makes re-visiting this nautical portrait session so special--I get to look back on these two kiddos and see the special bond that they share, one that my own will start to develop in a few short months. Have fun checking out Vinnie and Nora's special beach session. If you're like me, you'll get a kick out of what a ham Nora is in front of the camera, and how serious Vinnie seems to be taking the whole thing. One of the many things I love about photographing babies and children is that within a few short years (or even months!) those photographs show how quickly our little ones grow. Now that I have twin girls of my own, I realize how important it is to capture each stage as it comes, because your child's growth sneaks up on you--and they will never again be as little as they are today. When I look back on Meaghan's beach portrait session, I'm struck by how much she's grown in the past year--and how special it is that we captured these moments of her life. Bonus points for also getting her big brother in on the action! Now let's play a game--count how many rolls are on Meg's chubby little arms! If you love Meggy's portraits at Good Harbor as much as I do, don't forget to leave me some love in the comment section below! 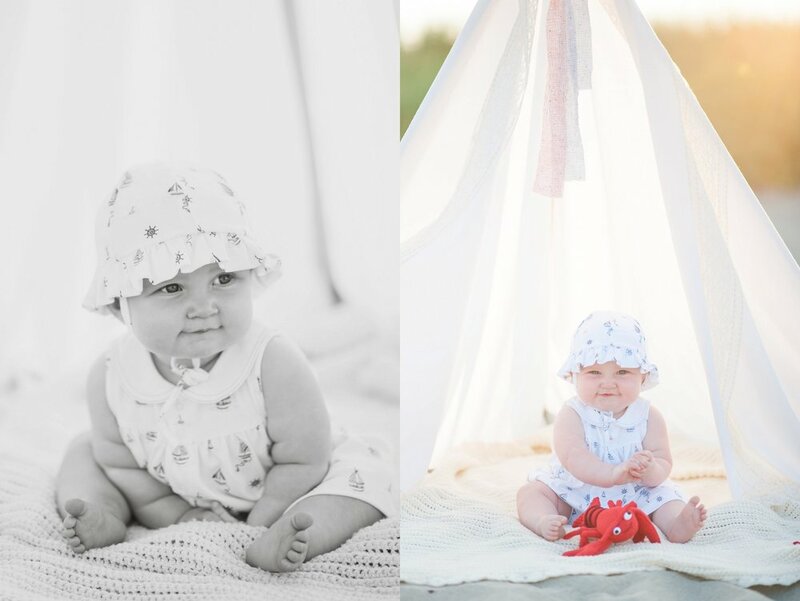 Good Harbor Beach Mini Sessions--Mila & co.
Last Spring I had a vision of summer--beautiful babies on the beach dressed in their nautical best and drenched in sun and warmth. And we needed a beach teepee, because...beach teepee (!!) In order to bring this vision to life, I reached out to my Facebook following to recruit the cutest babes around. Then, I hooked up with one of my past brides who does nautical like no one else (see her wedding on the blog here.) She owns an adorably cute (repetition for emphasis, ha!) boutique children's clothing shop in downtown Rockport called My Sea Baby. Together we put together these beach mini-sessions on Good Harbor Beach in Gloucester MA. Be sure to check back in over the next few days to catch all the little sea babies we captured during our mini-session on the beach that day! When Hannah contacted me to take her family's pictures in and around Gloucester, Mass, my mind got to working with all the fun places we could visit for our photography shoot. After weeks of planning and sending each other Pinterest ideas, we were ready! On the morning of our session, it snowed--meaning that I was beyond excited and somewhat giddy to capture all that snowy goodness! We stopped by Gloucester harbor to take some family photos in front of the family fishing boat, and then made our way around the harbor for some other seaside shots. Our session wrapped up with an in-home studio session--pups included! Check out my favorite highlights from this sweet family's winter portrait session below! Over Christmas and New Year's break, I got the opportunity to get together with a close friend to take pictures of her son Kobe, who turned two a few months back. My plan was to use this great vinyl backdrop that I had just bought for Kobe's portrait session, since I had very cleverly deduced that a freezing two-year-old outside in the snow would make for a very unhappy portrait subject. Kobe had other plans. What I had not-so-cleverly done is taken a two year old away from a video game. Here's an important tip about photographing children: DON'T EVER TAKE A QUIET WELL-BEHAVED TWO YEAR OLD AWAY FROM A VIDEO GAME. This picture was taken shortly after Kobe stopped crying. I don't think I'll ever get those accusatory eyes out of my brain. I'm sorry Kobe! One of the things I loved about this session (aside from the completely adorbs Kobe, of course) was that we got to throw in lots of wintery patterns. And even though it was a winter portrait session shot inside, we still got the feel that it was winter. One thing to note about me is that two year olds make me tired just looking at them. Kobe, however, is just about as sweet as pie. I mean, look at that smile! Winter photography isn't easy for a portrait photographer. It's cold. (Red, runny noses anyone?). The lighting stinks. (Sun sets at 4.) And there is an ever present threat of the weather going ahead and ruining a scheduled shoot. (Especially in New England.) Not surprisingly, most portrait photographers slow down during the winter time. But do you know who waits for no one? Babies! You can never be sure when those little things will pop out. So when Courtney asked me to take her maternity photos, I was excited at the opportunity, and eager to get started. Her due date was about 2 1/2 weeks away during this shoot! It had just snowed a couple of days prior, so we got to take advantage of a snow-covered landscape. Expecting mommas run hot, apparently, but it was also unseasonably warm that day! Drake popped in for some fun too! I photographed Courtney during her first pregnancy with Drake, too, so that made this maternity shoot even more special for me! We took advantage of the light for as long as we could, but did I mention that this was the day before the SHORTEST DAY OF THE YEAR?? Um yea. Light was fleeting. Time to get creative. I brought my flash along with me for this shoot, anticipating that lighting would be working against us. For this shot, I bounced the flash off the snow. Instant reflector! Score! Shortly after, we went back to their place to take a few more pictures of the family together. I wanted to focus on relationships and interactions here, so I went for a "lifestyle" portrait feel. All this basically means is that I let Court and Glenn interact naturally with each other and with Drake while I was busy perched on top of the couch snapping away. I think you can really feel the love in these pictures. Oh the heat! I'd love to hear your thoughts on this maternity and lifestyle portrait photography shoot. Leave your comments below! This fall I was itching to get outside to take advantage of the beautiful fall foliage and shoot some family portraits. So I enlisted the use of some family! It wasn't difficult to twist their arms, so we headed out to Essex. We were in the Greenbelt, so we set out to explore the area and began our portrait session in the clam flats. It was pretty cold, so the wool plaid blankets came in handy. I stinking love these kids! There's nothing like being able to capture those giggles. Photographing a family is a bit of a challenge (who knew it would be so difficult for four people to have their eyes open at the same time? ), but these guys made it easy! Look at these cuties! Nothing says fall family portraits like a barn backdrop. And last, but not least, the MONEY SHOT! We did more than a couple of takes, but don't you know, it's always the first shot that comes out best. What do you think of how they came out? Any comments? Suggestions? Talk to me, and leave me a comment below!